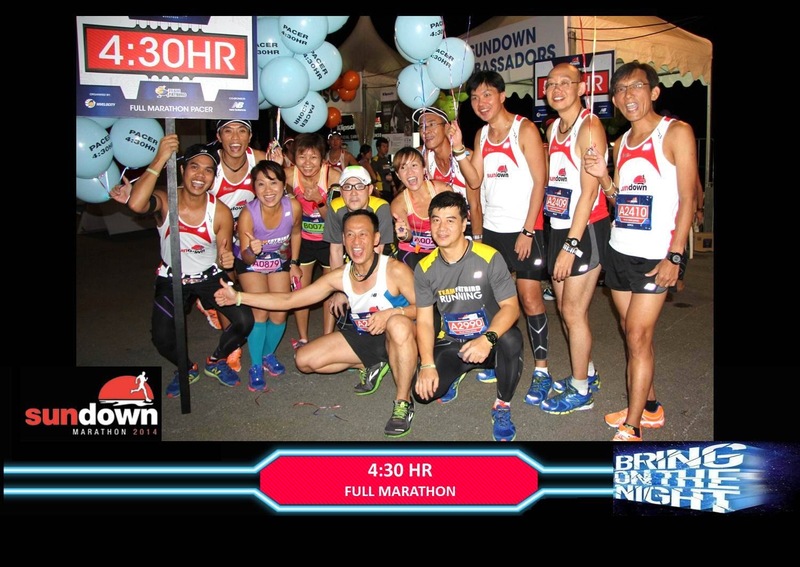 Sundown Marathon 2014 – Sundown Runners Rocked The Night! 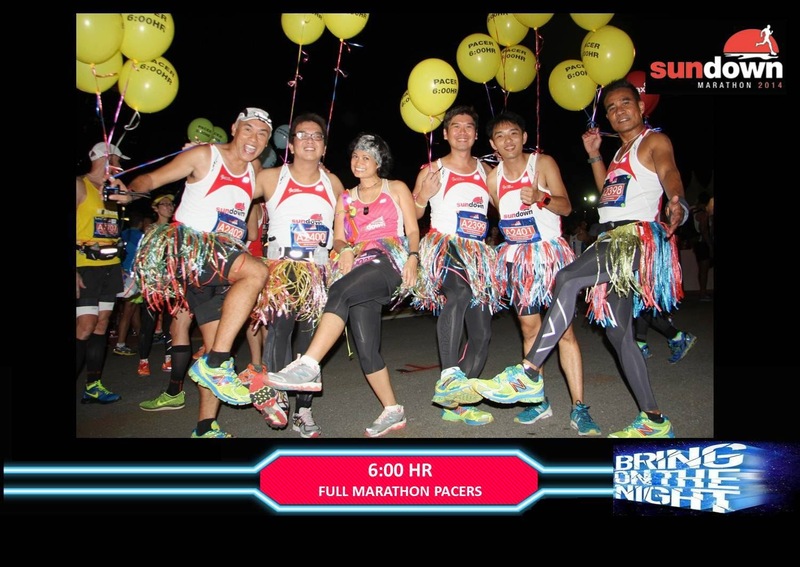 In spite of being one of the most challenging Sundown Marathon to date (with the high humidity and the Sheares Bridge slope), the Sundown Marathon Pacers accomplished our mission of bringing the Sundown Marathoners to their target timings. 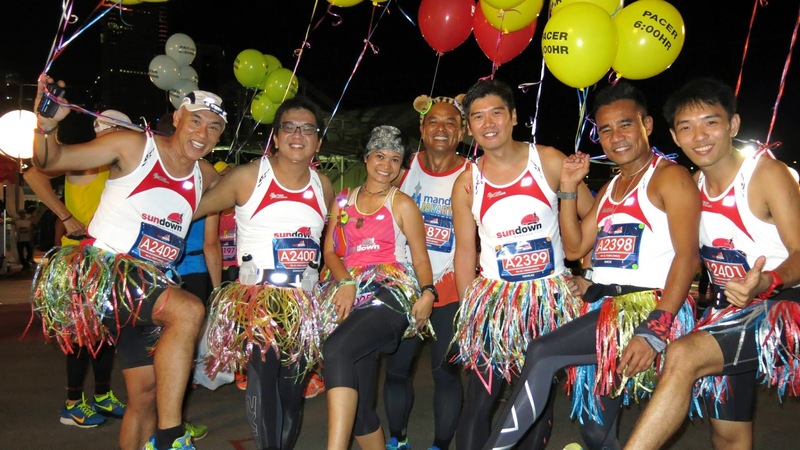 This year’s Sundown Marathon, Asia’s premier night race, brought with it some new enhancements which provided more excitement and ‘glow’ to an already established and ‘must-do’ marathon. 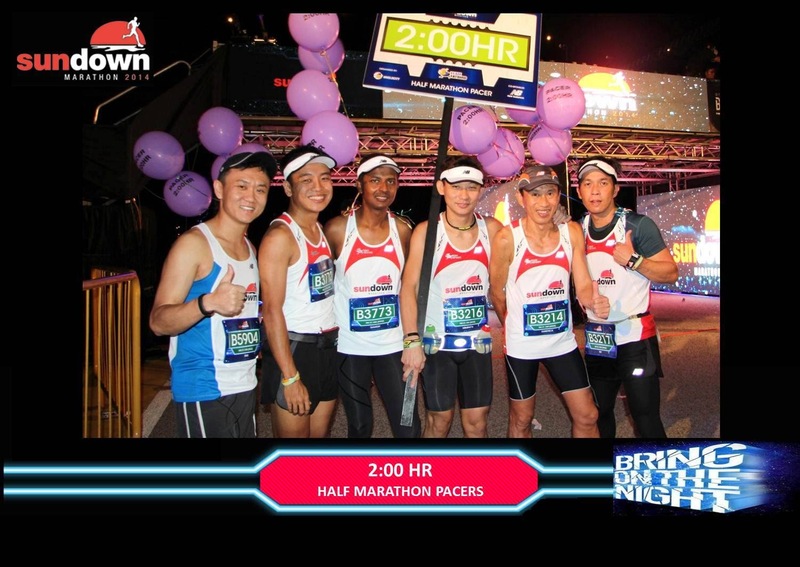 After months of training in both day and night conditions, the Sundown Pacers who have sacrificed their personal race timings in a bid to help the many Sundown Half Marathon (HM) and Full Marathon (FM) runners fulfill their race objectives. 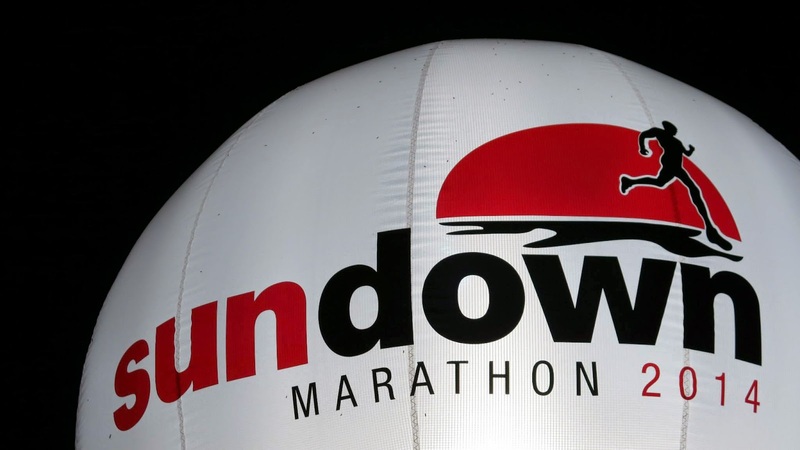 The Sundown Race Village (set up a few days prior) was abuzz with busy chatter and an air of excitement as we gathered at the Sundown Ambassadors’ booth at 8:45pm. 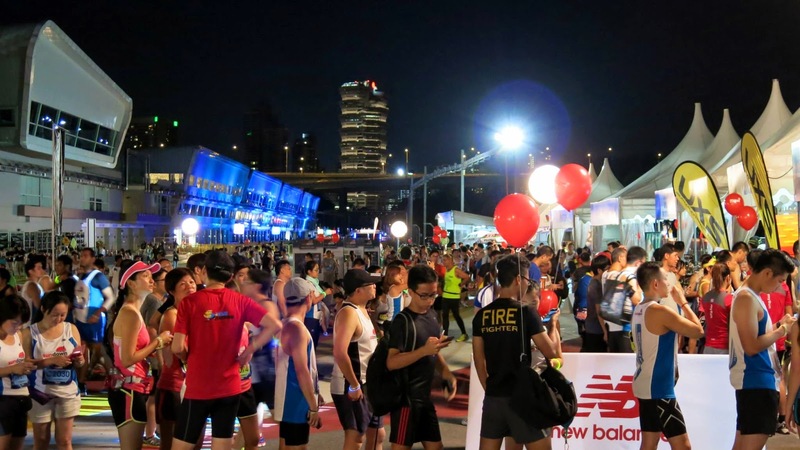 The nearby New Balance, Maxinutrition and sponsor booths were also kept busy with lines of runners capturing photos and trying out products. 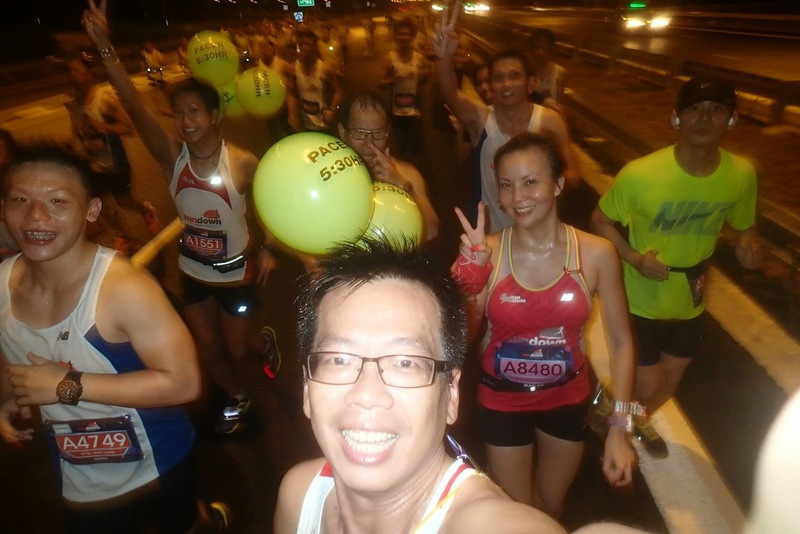 The Sundown Pacers @ Ambassadors’ (Pacers) booth were gearing up with their timing bibs and colorful pace balloons, and of course, lots of group photos with Sundown Runners and Team FatBird trainees who have met up to get final advice and to give support with words of encouragement. 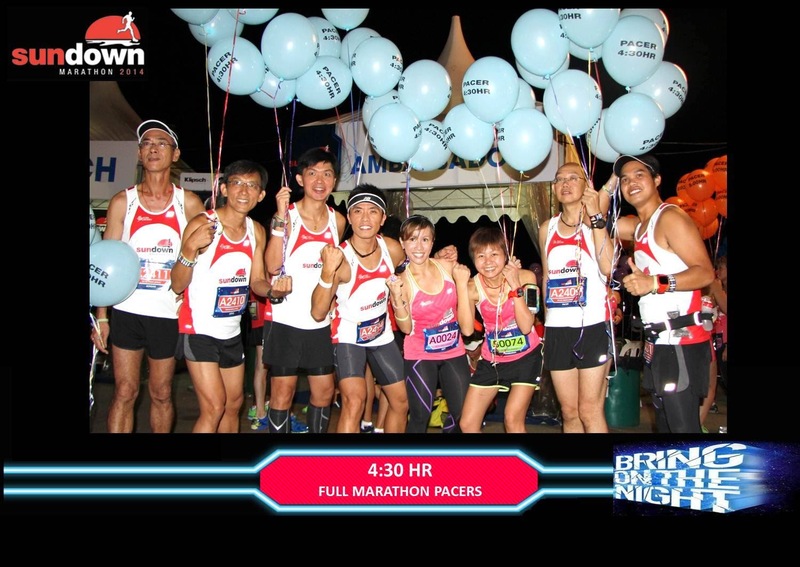 By 10:45pm, the Sundown FM Pacers were ushered into the race start to take up positions in their respective starting pens, according to target finish timings. There was a warm welcome from the MC and with loud blasts of music, and the Pacers were pumped up and ready for our Mission Finale. 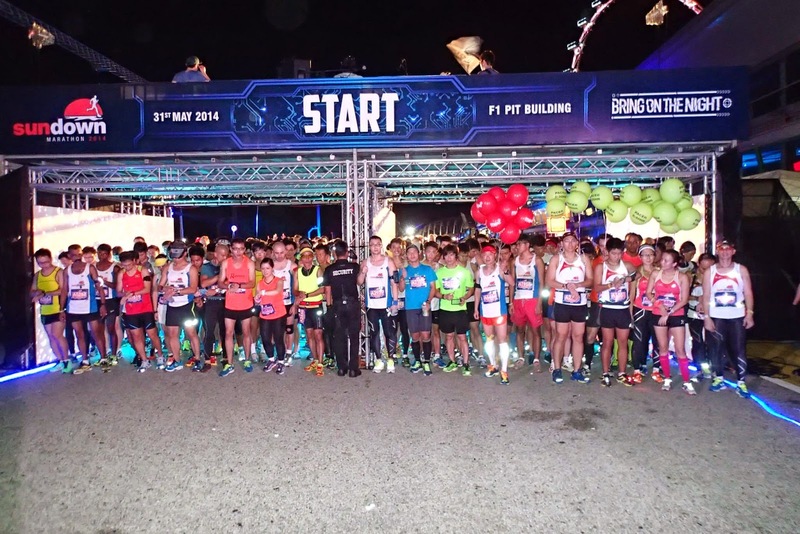 The runners were let in 10min later, and soon the Pens were filled to the brim – and the show to ‘Bring On The Night’ began. 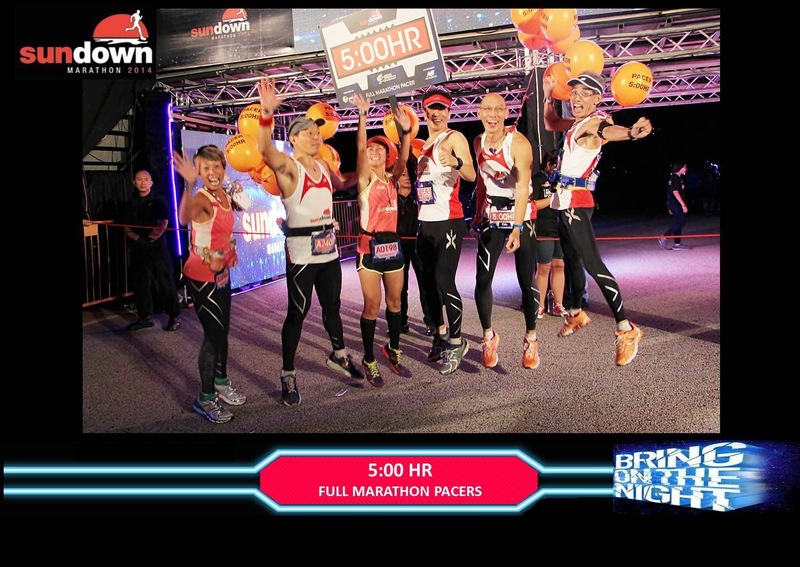 After a good warm up routine and some high energy entertainment from the band, the FMers were flagged off promptly at 11:30pm along with the Hand Cyclists right in front. 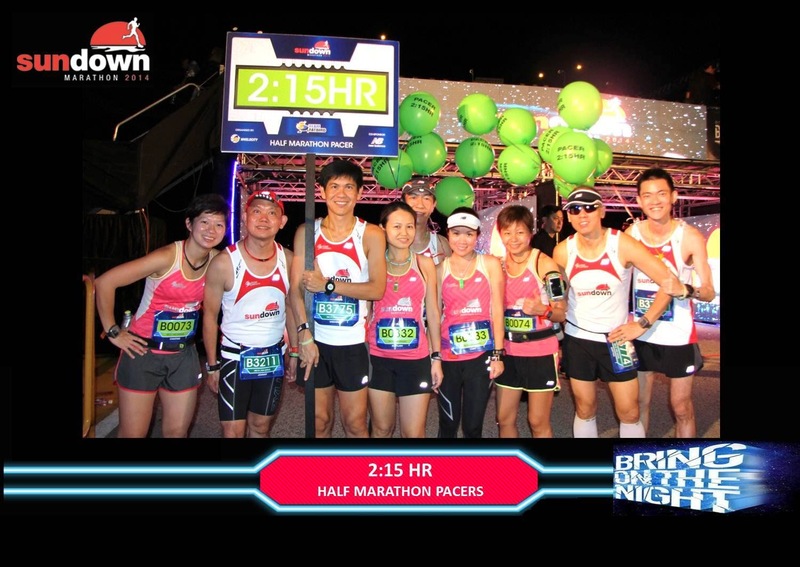 The run through the specially designed stage (with bright neon colours at all the sides) gave us the feeling of running through a rock concert opening for a very special performance indeed. 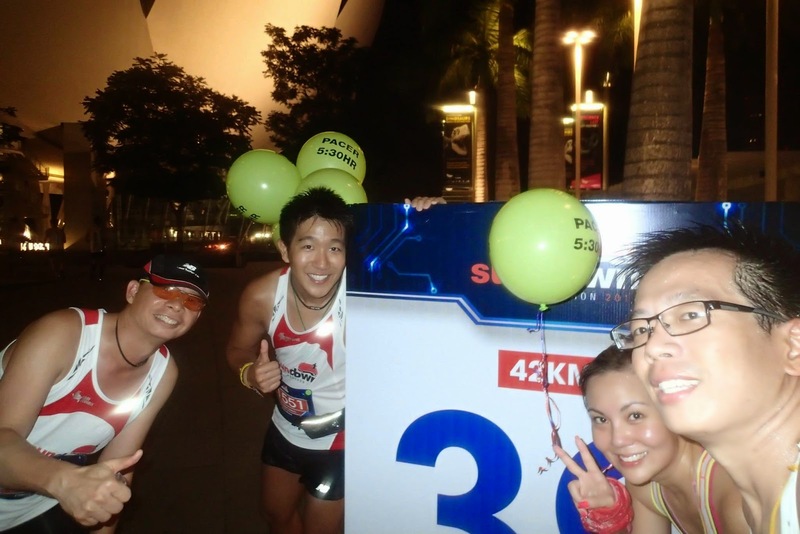 The Sundown Pacers with our colored balloons soon settled into Optimal Pace (a slightly faster pace with a little buffer for contingencies and PB performances) which eventually proved to be useful when we slowed to tackle certain dim areas of the course, encountered the hill climb at the 34km mark and punching through the crowd near the end of the race. 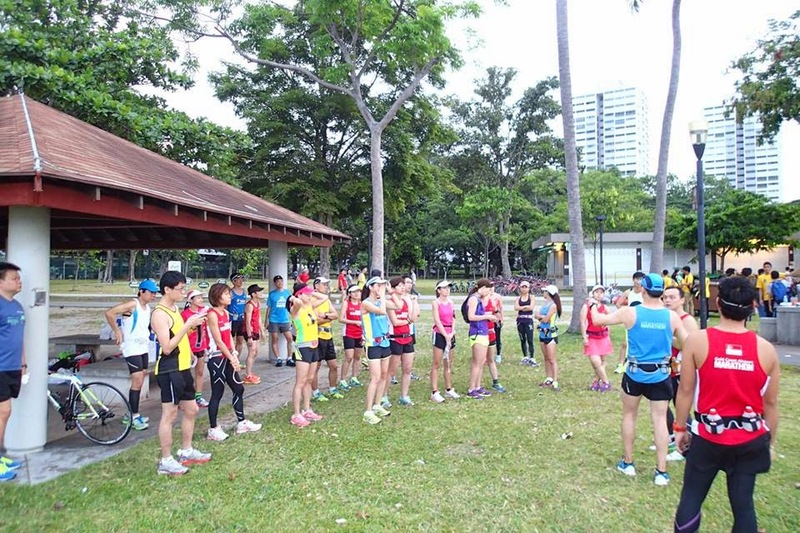 The first 10-12km was one of high humidity where runners were dripping in perspiration and yet could not dissipate heat fast enough for an easier cruise. 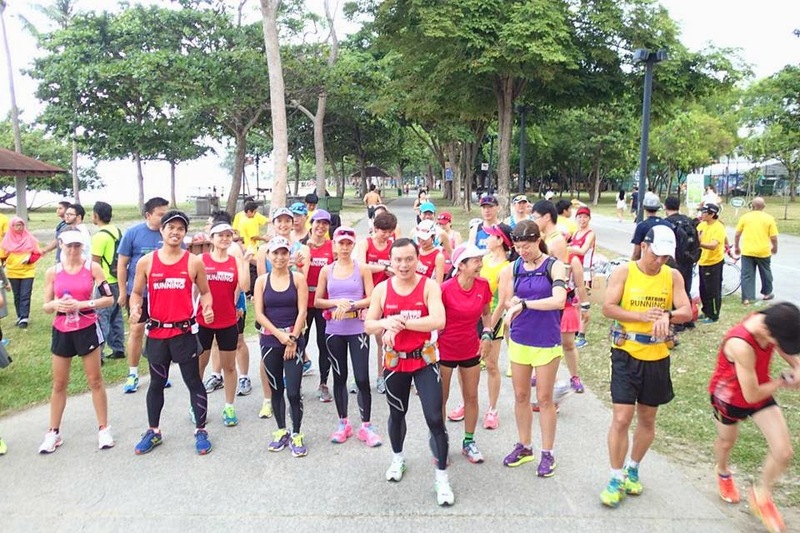 Many of the Sundowners were seen to be affected by the humidity as their pace slackened from the 12km mark onwards. 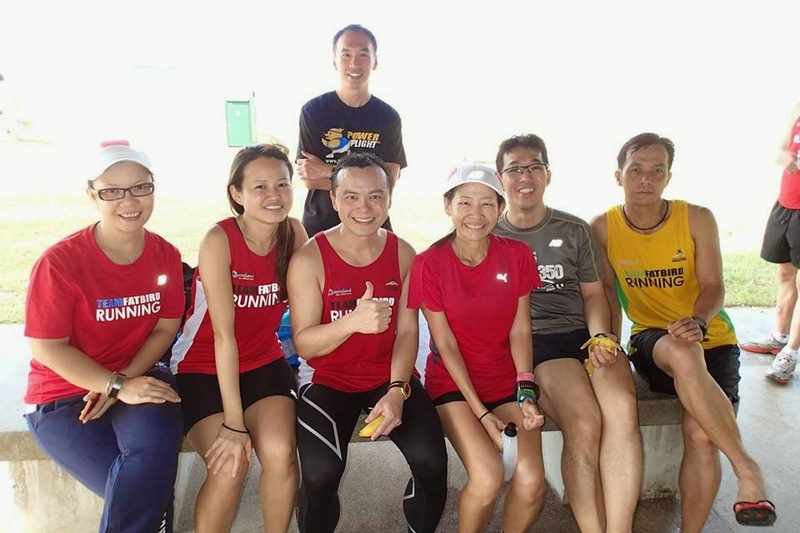 The ECP portion saw a few unofficial support stations with cheering supporters, that brought the morale of the ‘tiring’ runners up a notch. 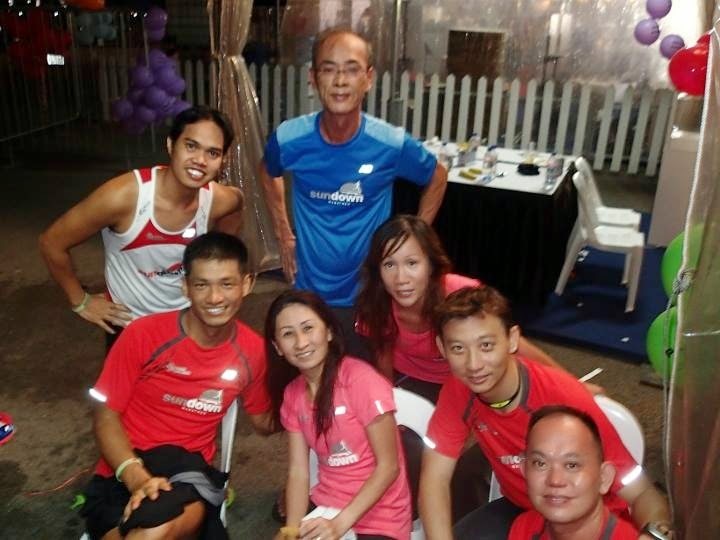 Meanwhile, the HM Pacers and Runners went into their respective start pens at 11:45pm and were treated to the same delightful starting line activities as the FMers had gone through earlier. 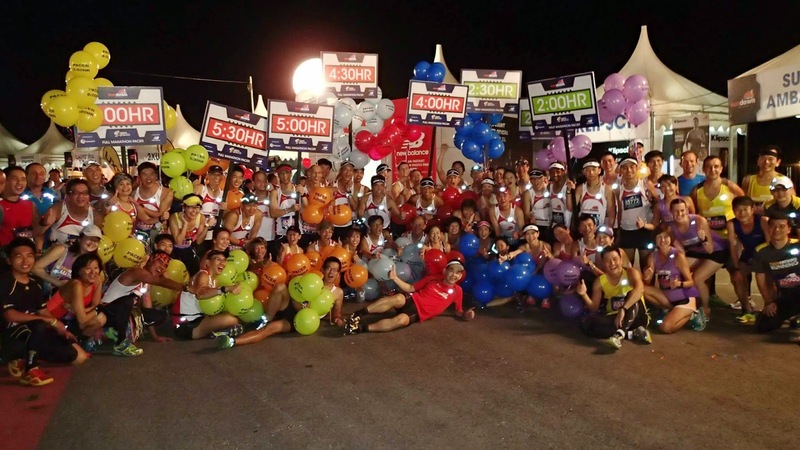 The slightly larger HM contingent flagged off at 12:30am to very humid conditions and a thick crowd in the first 5-8km of the race. 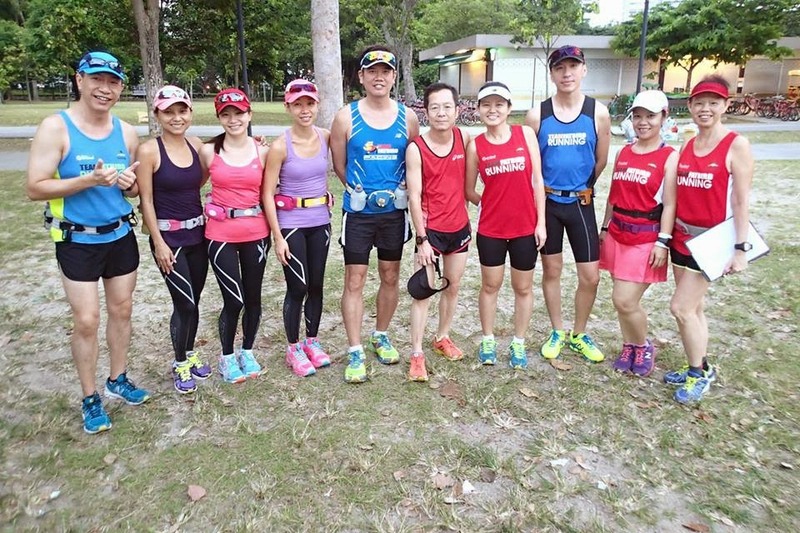 After the FMers sustained 2 hours of what seemed like a long road to eternity, the winds came as the weather took a turn for the better (at least for the Sundown Runners). 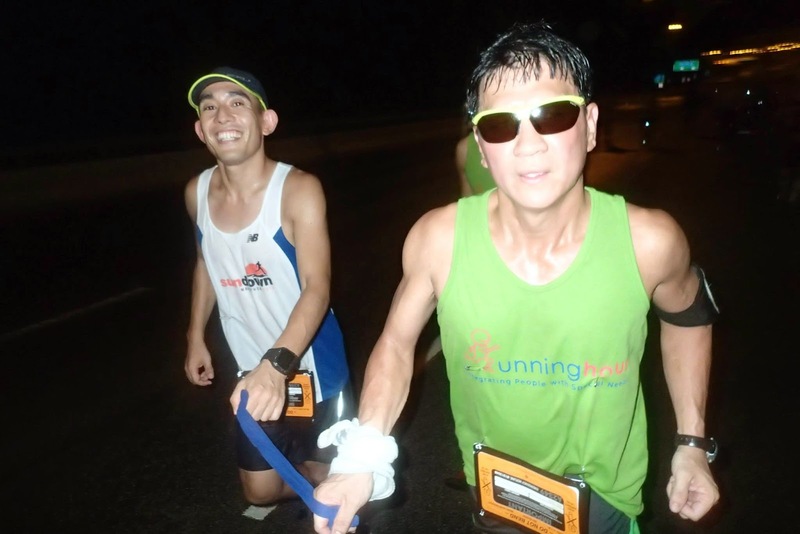 That allowed the runners to keep up with the pace, and a number found new strength to push on for the middle miles (15km-28km). 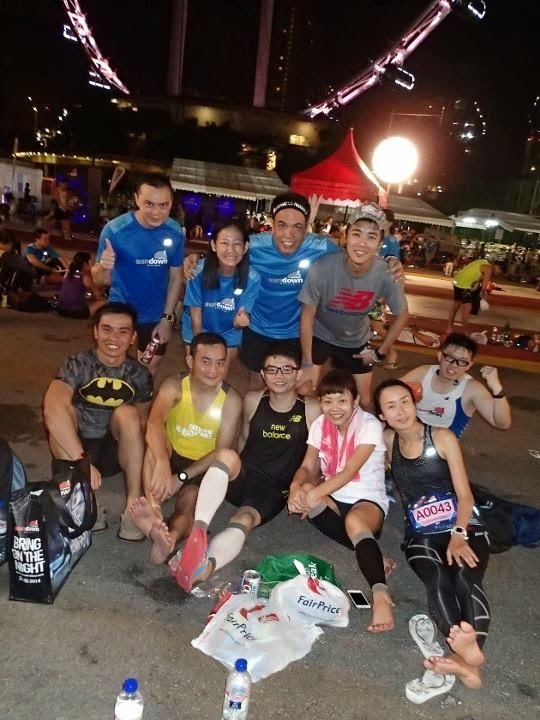 The Sundown Pacers who have been maintaining Optimal Pace all this while also found some respite form the humidity and were able to cruise through this section and encouraged more runners to follow on. 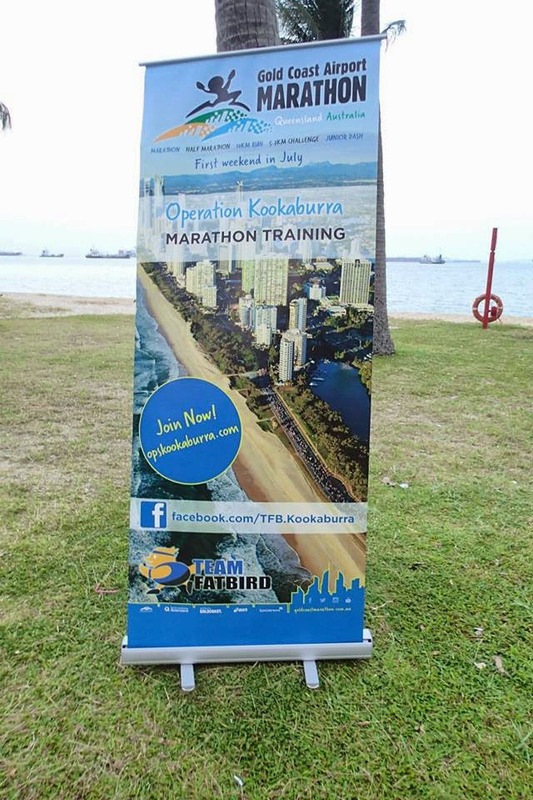 The real challenge of any full marathon really comes at the 30-32km mark, where mentally and physically sapped marathoners start to see the proverbial ‘marathon wall’ and normally are looking to slow down. 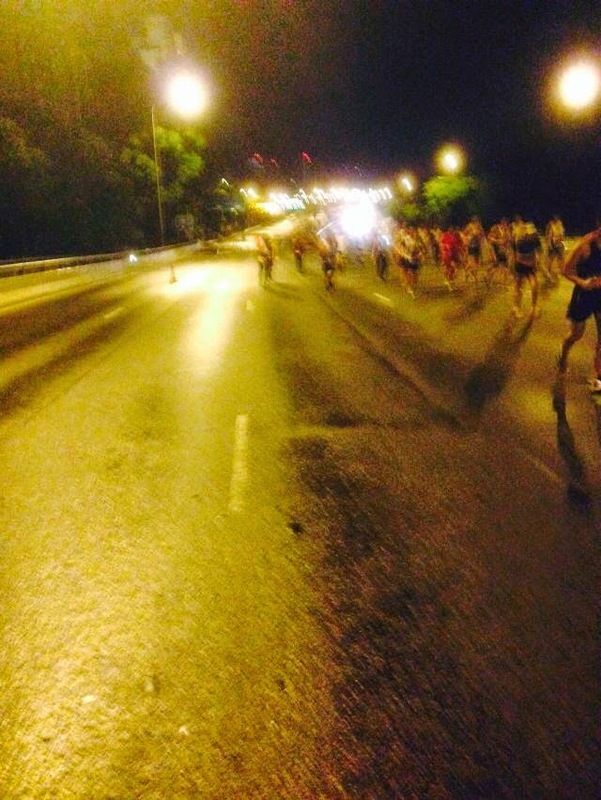 Things were made even more challenging at the 34km mark (14km for the HM) where there was a long slope climb over Sheares Bridge where many runners were slowed to a slow walk, losing precious minutes unwillingly. 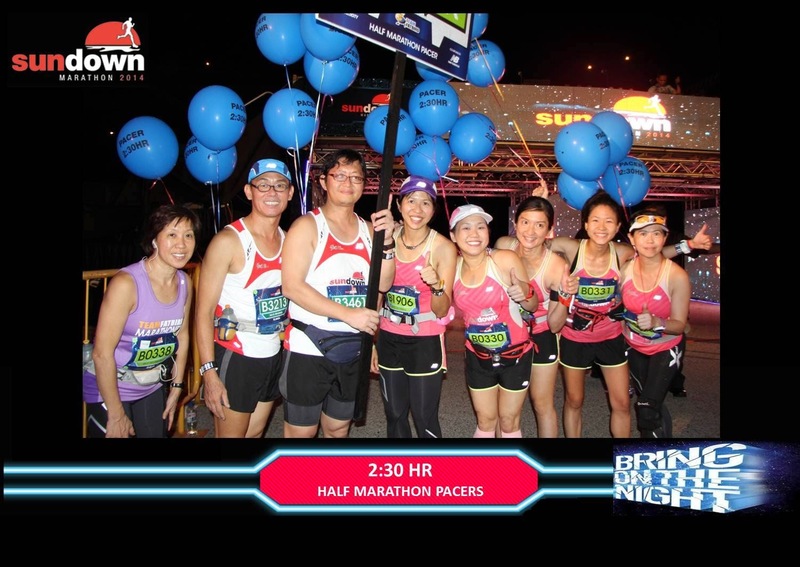 The Sundown Pacers dug deep to continue maintaining pace and urging the runners to keep going and not to give up at that crucial juncture. It was sheer relief when we were greeted at the top of the climb with an equally long descent which helped us to make up for some of the lost time. 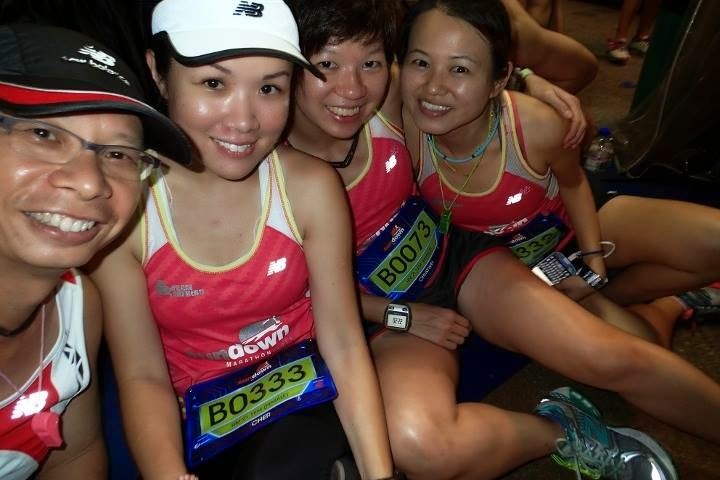 However, the 4hr-5hr bound marathoners had to contend with a crowd of walking HMers with lots of weaving around and slowing down for the crowd. 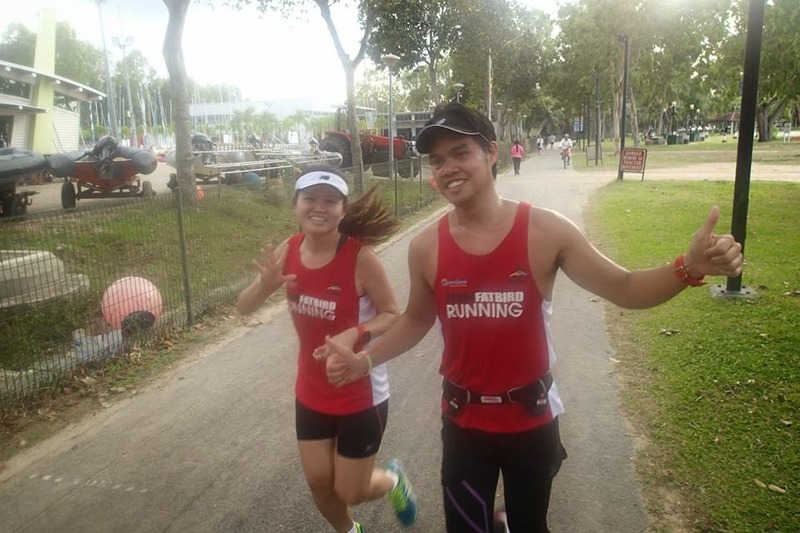 We sure were glad we had some buffer built up with our Optimal Paces to last up till the final 5km. 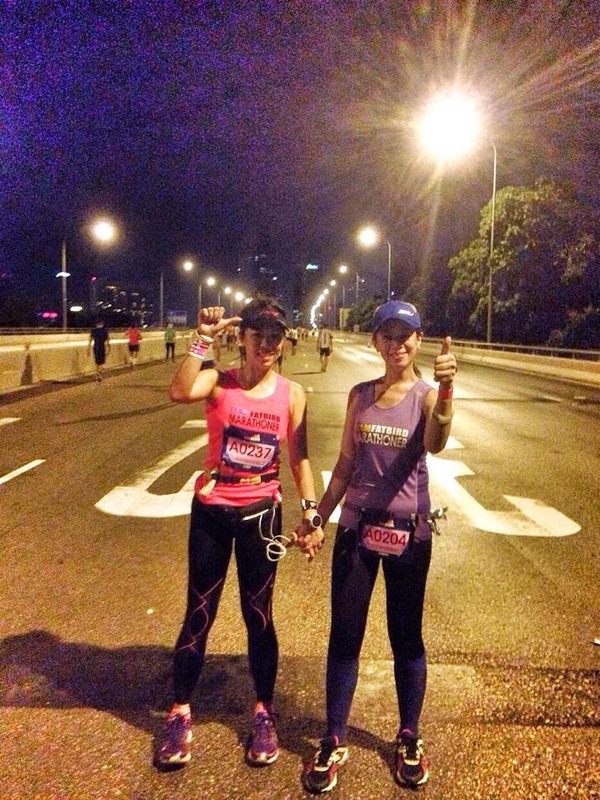 From then on, it was a push to the finish. 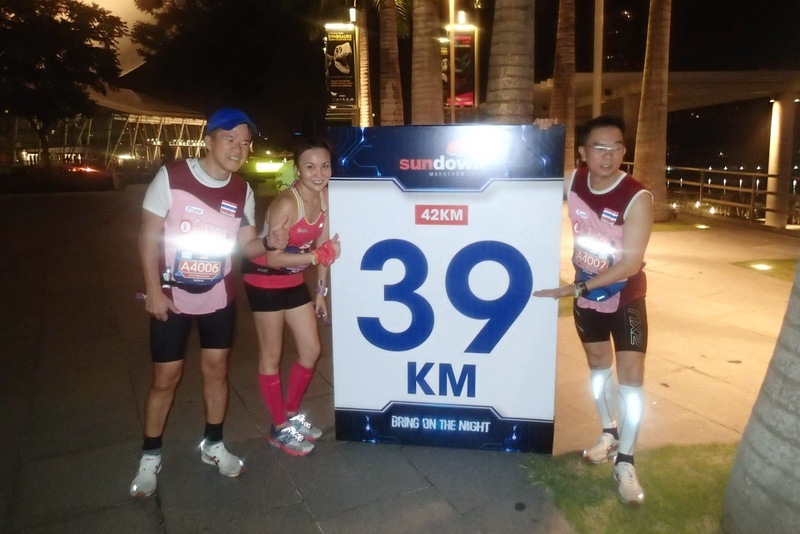 The Sundown Pacers were shouting timings to all who were close to meeting the target timings, as well as to the slower ones in front to clear to the sides for a better passageway for the ‘rush’ to the finish line. 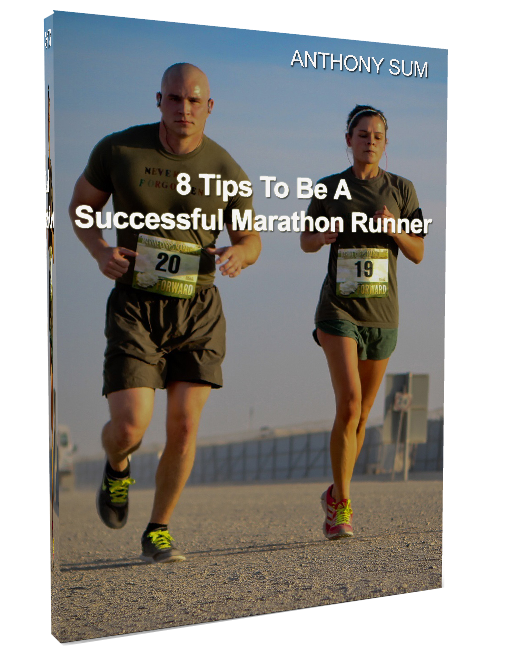 With pain in the legs and the tired bodies of the marathoners who would just want to sit down and rest, the finish line in sight with strong encouragement from the Pacers were what kept them ‘pushing’ for a strong finish. 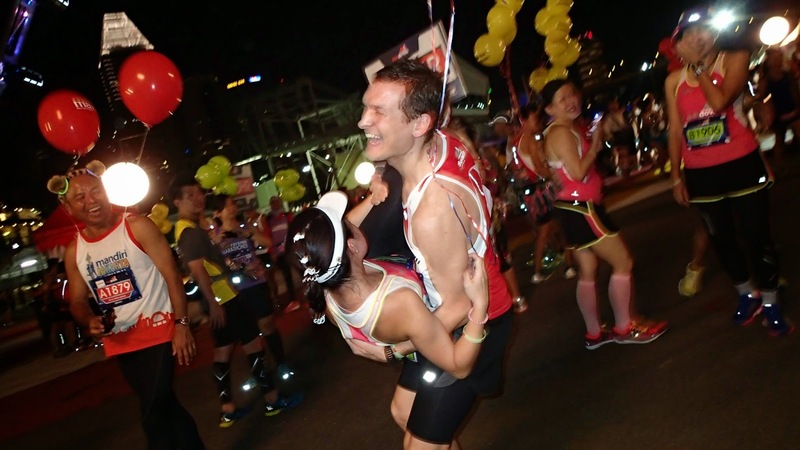 Crossing the Sundown Finish Line never felt sweeter, and the beautiful finisher medal and tee shirt will be treasured for many years to come. Congratulations & Consolation were shared among all who have put in their best, and everyone who participated and completed was a Winner! 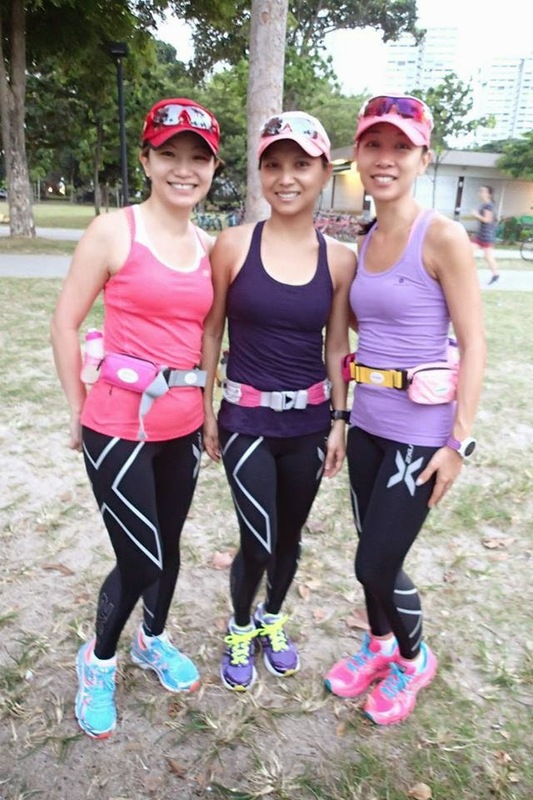 There was a sense of deep satisfaction in many of the runners’ visibly tired faces, with ‘shagged’ bodies just sitting around and resting their sore legs, clutching their hard-earned finisher medals and reflecting on just how they have managed to ‘survive’ one of the toughest marathons in a long time. 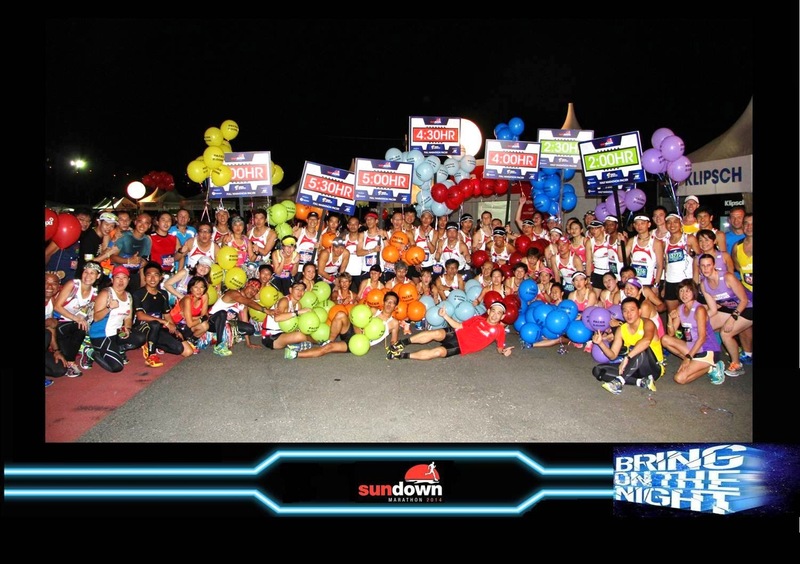 A big shout out to the Sundown Race Organizer for Bringing On Such An Exciting Night with new sights, sounds and challenges, many of which were nice surprises for the Sundown Runners. 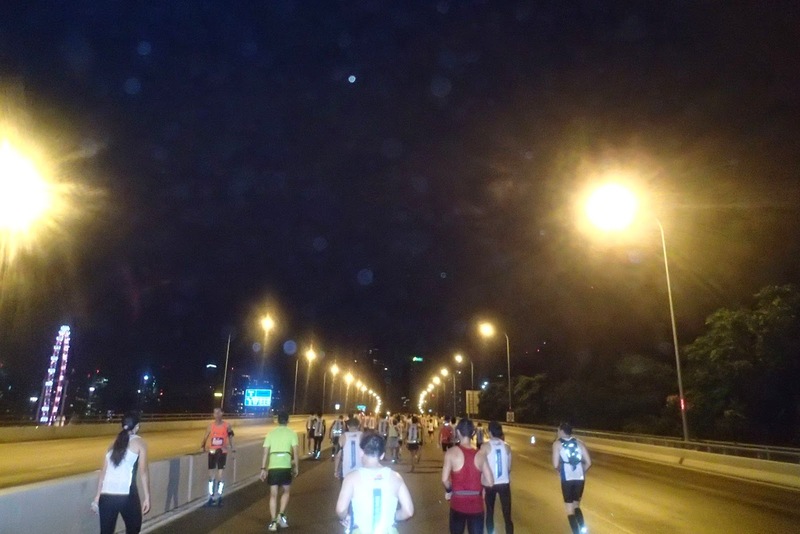 Although the weather (which could hardly be controlled) threatened the race with initial forecasts of thunderstorms, it turned out to be fine for most parts of the course, but not without exacting some serious damage on the runners with the high humidity levels in the first 2 hours. 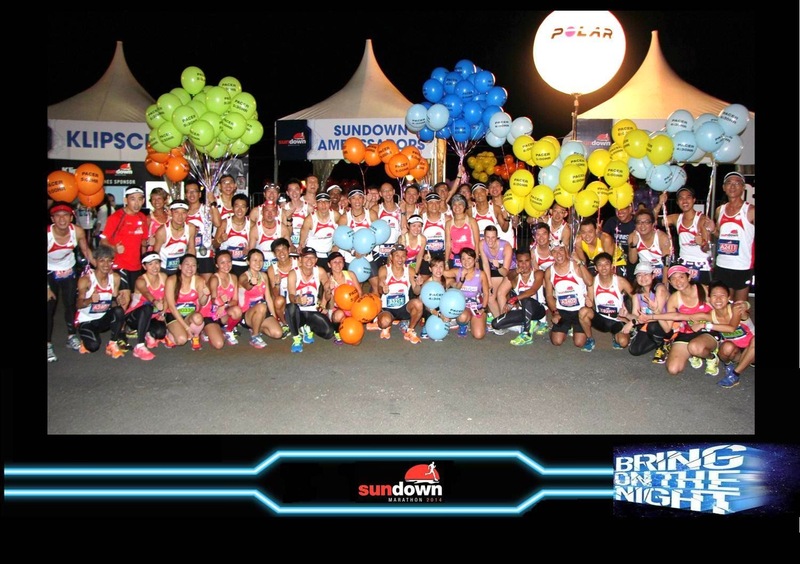 Overall, it was a highly successful race which many have enjoyed (even though some did not get PBs or their desired timings) thanks in part to the strong support of the sponsors and partners, and most importantly to the committed bunch of event managers, coordinators, volunteers, Pacers, along with the encouraging participation of all the Sundown Runners who shared this eventful night with us. 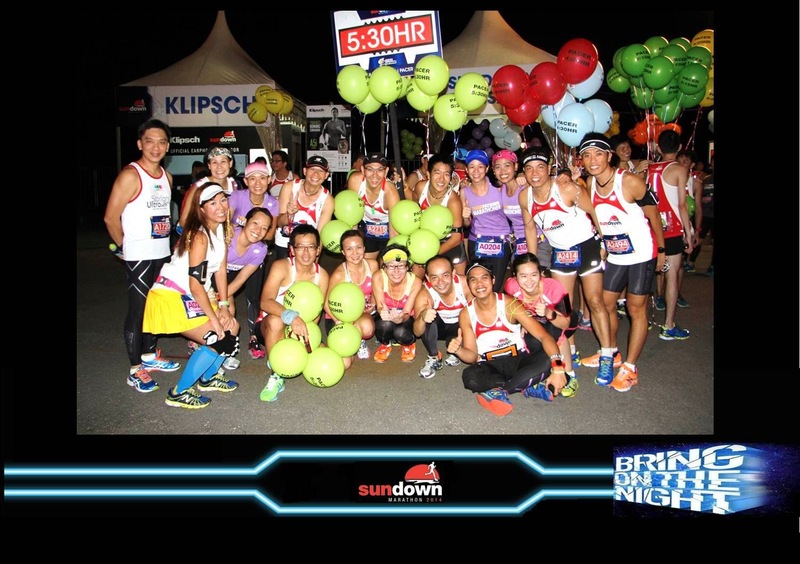 Sundown Marathon Brought Us The Night! 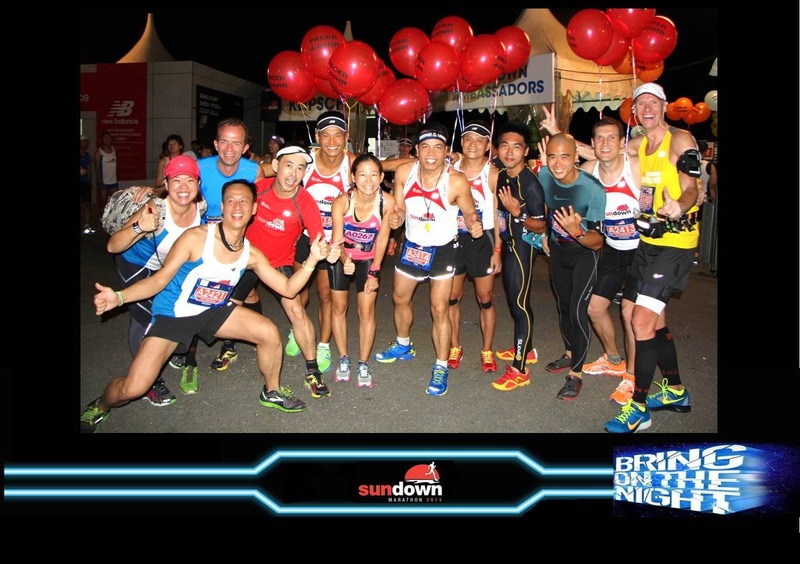 Sundown Runners Rocked The Night!